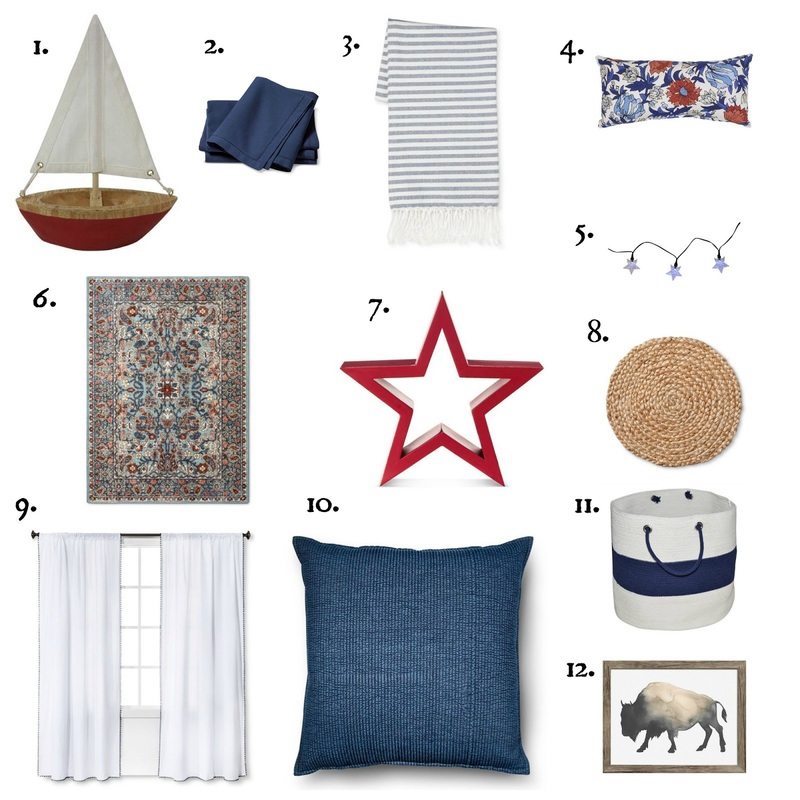 If you are anything like me, today is your day to pick up all those last minute things for the 4th of July festivities. Because, as usual, you forgot to do it before today to avoid the other crazy people buying beer and burgers. In my defense, I’ve been slightly preoccupied and housebound because of the bathroom renovation(Yes, it’s still going on. More on that to come). At least my kids have flag shirts from grandma. Because I will be out doing my last minute shopping today, I put together a list of all my favorite rustic 4th of July decor from Target. Because Target gets my style. And, all too often, my money. These items are things I would use in my own home. I’m not too keen on obvious decorations; I like to be subtle. 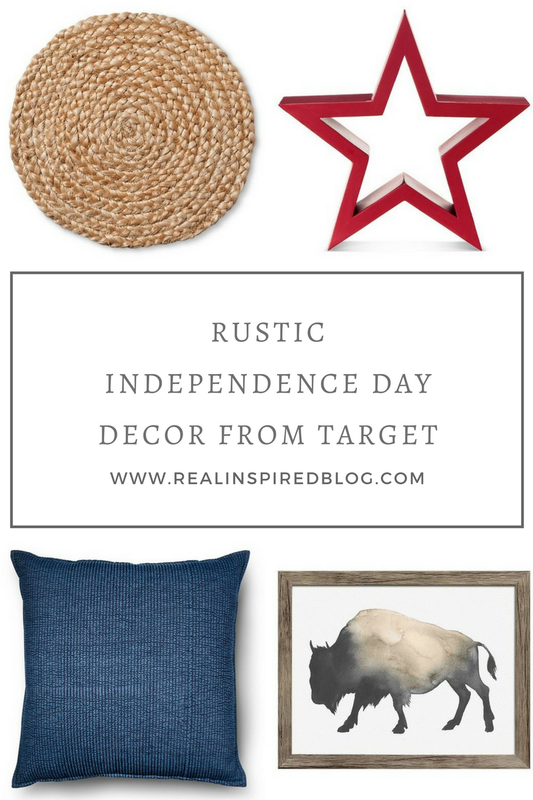 Any of these things mixed with a few small flags in a glass jar would be the perfect red, white, and blue Independence Day decor for me!